This ammo is manufactured by Industrias Tecnos S.A. De C.V., a pioneer in 22 LR manufacturing technology. They were established in Mexico in 1961 by Remington - and is premium quality ammo. Sold under their Aguila (Eagle) and Centurion brand, Industrias Tecnos are manufacturers of ammo for the Mexican military and police forces and also sell ammo in the Middle East, South America, and Europe. The plant did originally produce some Remington ammo and the staff was partially trained by Remington. 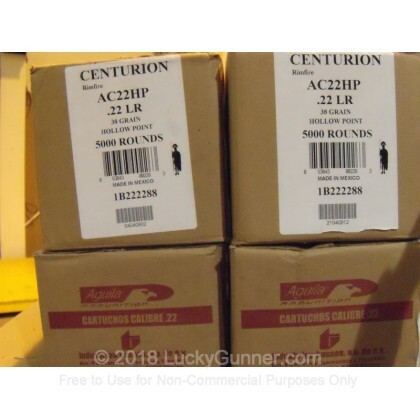 This ammo is brass-cased, non-corrosive, and excellent for target practice! 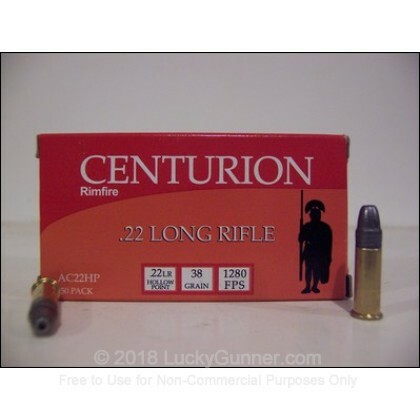 I tried a box of this the other day for comparison with Remington Goldens,Thunderbolts,Target and CCI bulk, and Winchester ?.....I was using a custom Ruger 22-45 off of sandbag rest at 25 yds..... 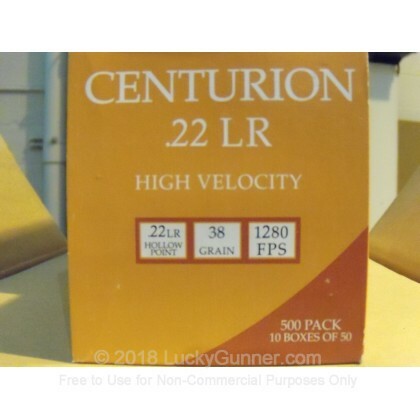 This shot slightly better than the CCI bulk with 2- 7 shot groups of 1/2" or less and CCi had 1 group of 7- at 1/2"...They were alittle on the dirty side.compared to CCI. i want to compare to Blaser next week and have one box of Elly....I imagine the Elly will be the winner but twice the price+.....Need to compare with other CCI's when I can.